The symposium addresses and offers solutions to a problem continually broached by resident doctors: combining scientific work and specialist training. Formal conditions, such as the recognition of periods of research carried out during specialist training will be discussed and examples of individual options shown. 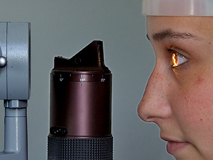 Furthermore, the results of a survey on the situation in German ophthalmological clinics are to be presented, whereby the topic of combining family and career is of significance.